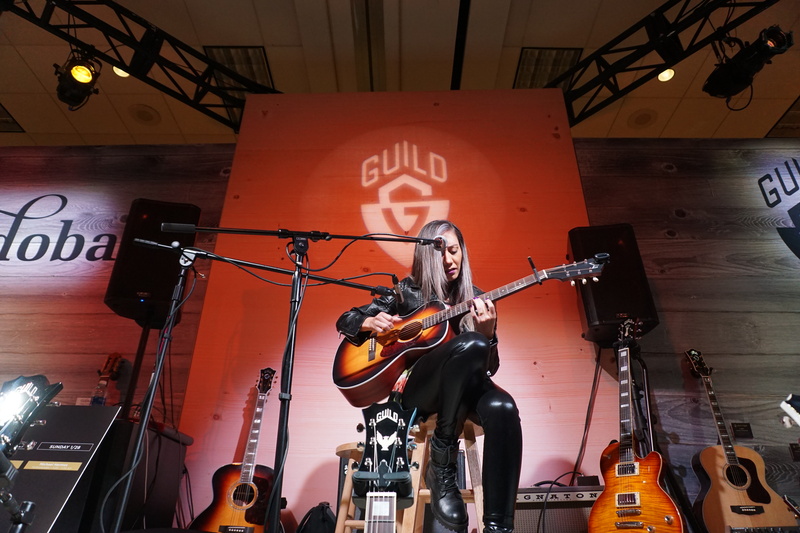 SANTA MONICA, CA – As we wind down from all the NAMM excitement, we want to thank our customers, artists, and partners for spending time with us in Anaheim, CA last week. 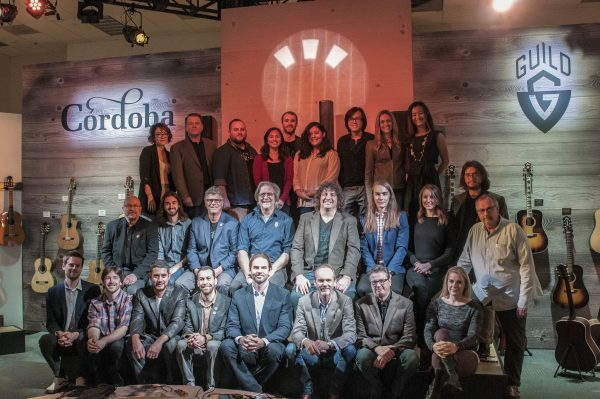 Our entire Córdoba Music Group team were so proud to present the 2018 Córdoba, Guild, HumiCase and DeArmond product lines to our industry. We have been working tirelessly on exciting new models and have promising prototypes coming down the pipeline. It’s going to be a great year! 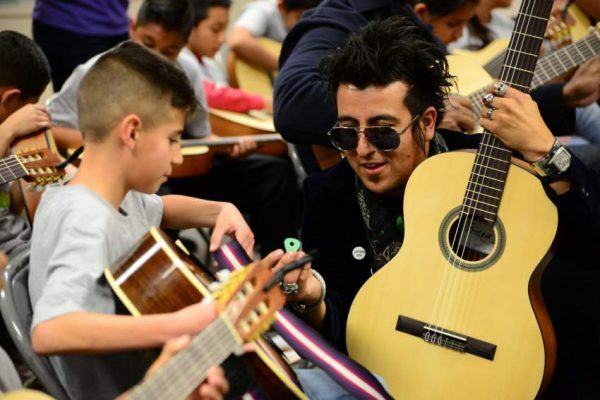 We kicked off the week by participating in NAMM’s annual “Day of Service” on January 19th. 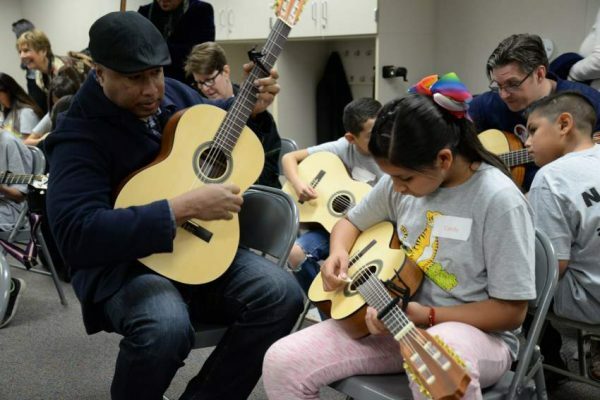 Music Education is a big focus for our team this year, so we were thrilled to provide 28 Córdoba guitars (varying sizes) for kids to learn a song together. Nominated by Candyman Strings, Córdoba Music Group was awarded “Best in Show – Company to Watch” specifically for all the hard work that we are pumping into the Guild brand. To be chosen out of the 2,000+ companies exhibiting at the show, this was a great honor. 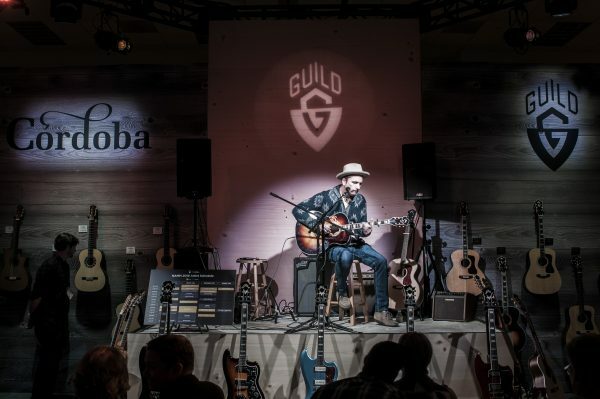 Córdoba Guitars was also awarded “Vendor of the Year” for the largest percentage growth with the distinguished AIMM buying group and we’re looking forward to keeping this up in 2018! 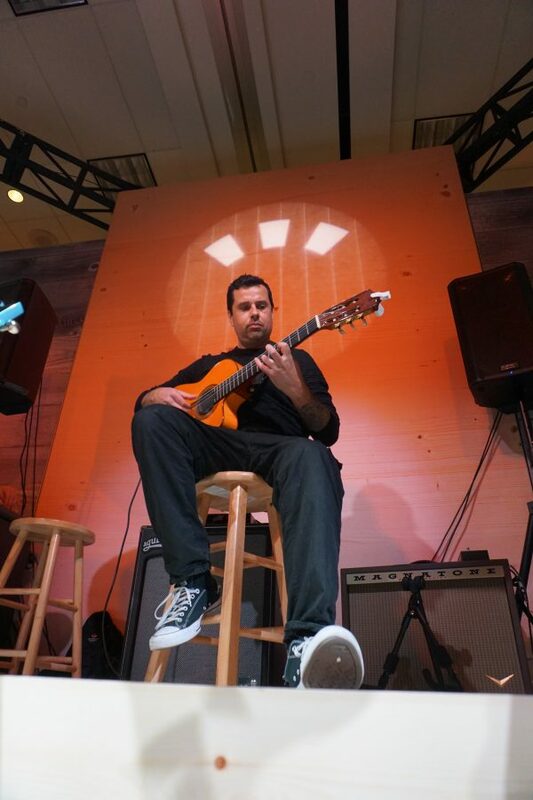 Our CEO and Founder, Tim Miklaucic, was one of eight new members elected to sit on the NAMM Board of Directors for the next three years to provide oversight and direction to the organization. We are so fortunate to work with talented musicians like Ben Woods, Shane Alexander, Lari Basilio, Michael Hermes, RJ Ronquillo, Tavi Jinariu, Vahagani, Kai Narezo (to name a few!) 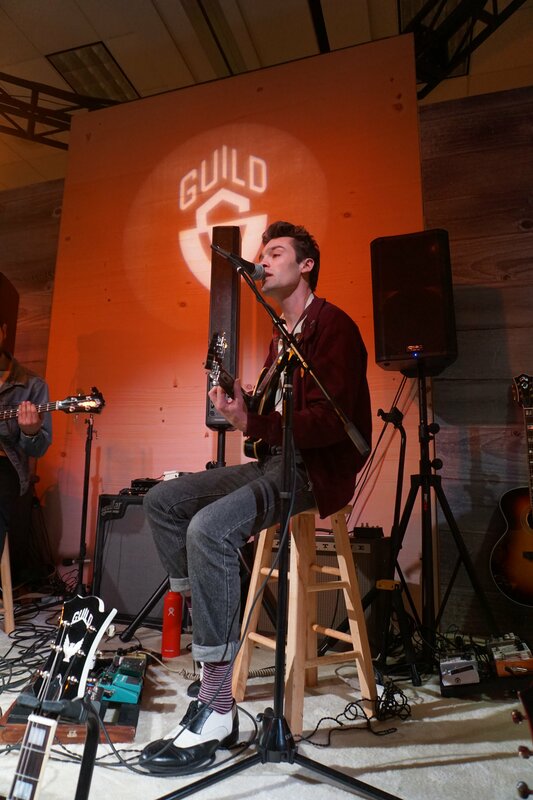 who can really show off what our instruments can do. 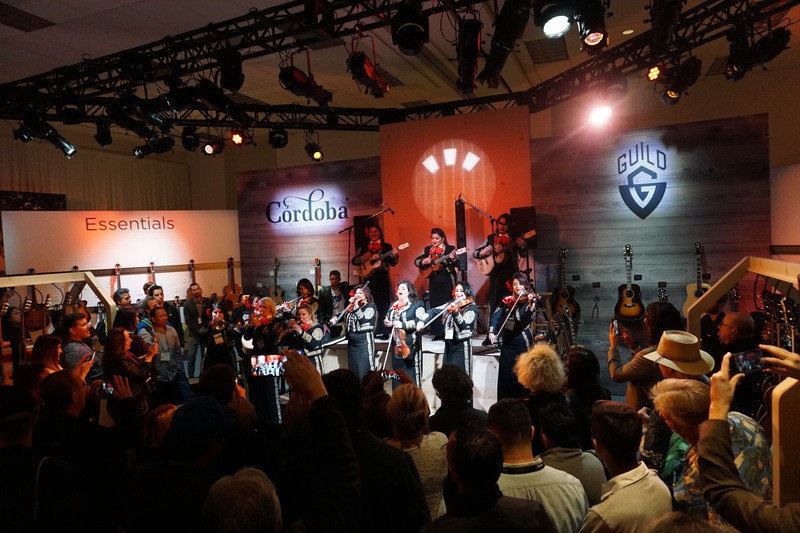 From tender classical performances (where you could hear a pin drop) to the high-energy sounds of the 2-time Grammy-nominated Mariachi Divas, to the jaw-dropping licks of Lari Basilio, there was no shortage of inspiration and fun spilling out of our booth. 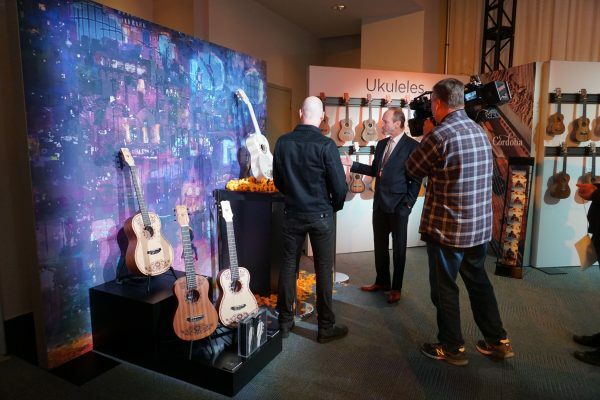 We were featured on HLN’s “MichaeLA” show (watch the segment here) and KTLA evening news! 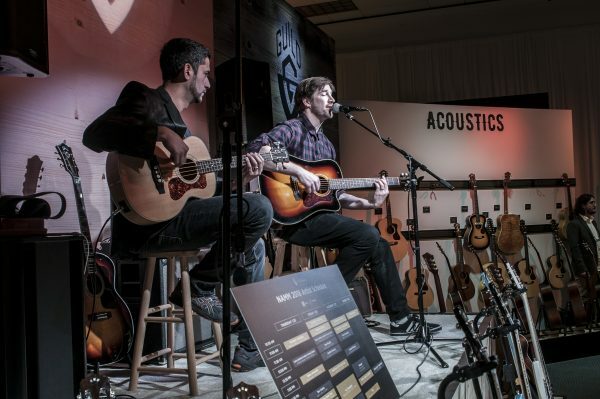 More Videos highlighting our NAMM launches featuring the amazing Ryan Cooper! Reverb covering the Guild F-55 and Jetstar. Guitar Interactive – coming soon!